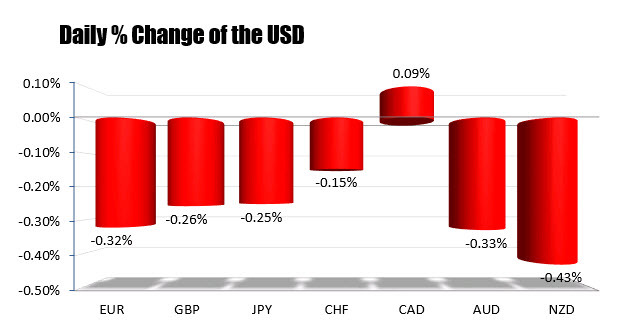 The USD has moved lower in the NY session. It is now only up vs the CAD. The catalyst have been some weaker manufacturing data early on. More recently the JOLTs and Michigan consumer confidence were better but so far the dollar fall is not detered. It is Friday and flows can be an impact. However, it is worth monitoring for a stall or correction. Also helping the downside for the greenback is a sharp fall in US yields today The 10 year note’s yield has moved to a low of 2.5778%. We are currently trading just above that level. That is down about 5 bps on the day. 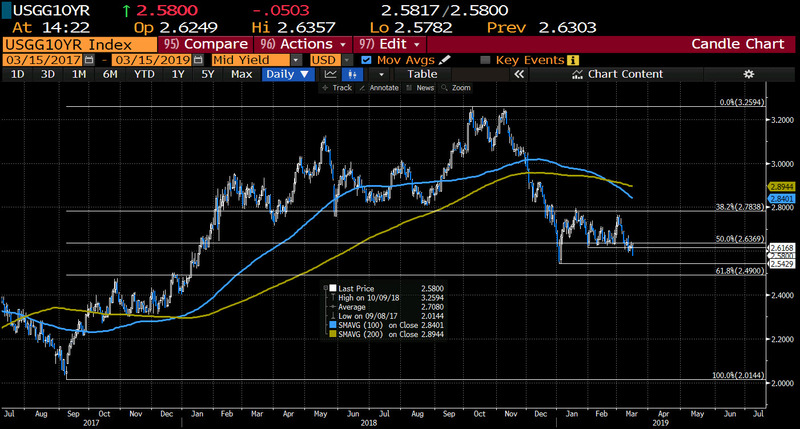 Looking at the daily chart below, the yield is moving away from the 50% of the move up from the September 2017 low at 2.6369% and is also back below the low from February at 2.6168%. The low yield from January is down at 2.5429% and is a target on more weakness. 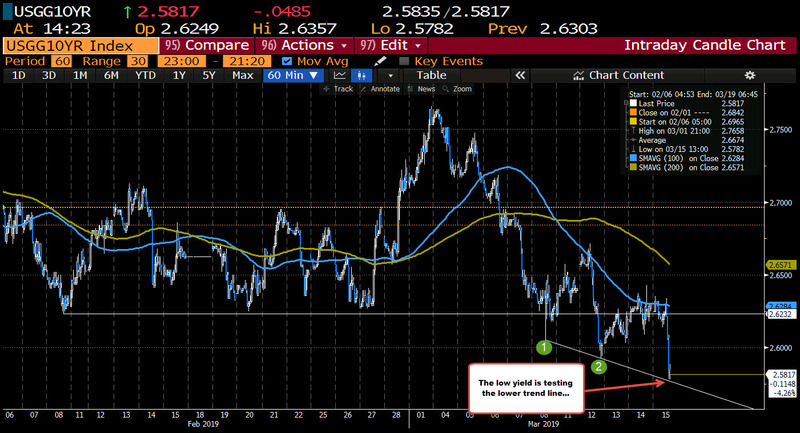 Drilling to the hourly chart below, traders are finding a cause for pause of the move lower against a lower trendl line at 2.5768% – just below the low yield for the day. Traders may lean against the level with stops on a break below. That may slow the dollars fall as well (look for it). So be aware. The fall in yield seems to have helped contribute to the fall in the dollar today. However, there may be a stall support level that could slow the falls.